In order to continue to grow in my photography, I always set goals for the year. We were headed out west for our friends wedding & I decided why not do a mentor session while I'm out there with an amazing photographer. I'm always looking to improve my passion & came away from this time with Andrew Abajian feeling refreshed & empowered to take my photography to the next level. 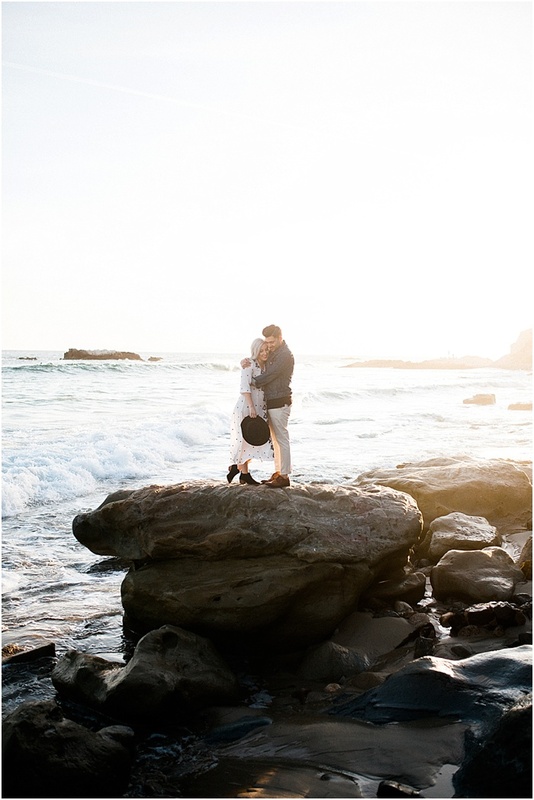 Jonah & I headed out of LA for the afternoon & drove down the coast to get to Laguna beach. 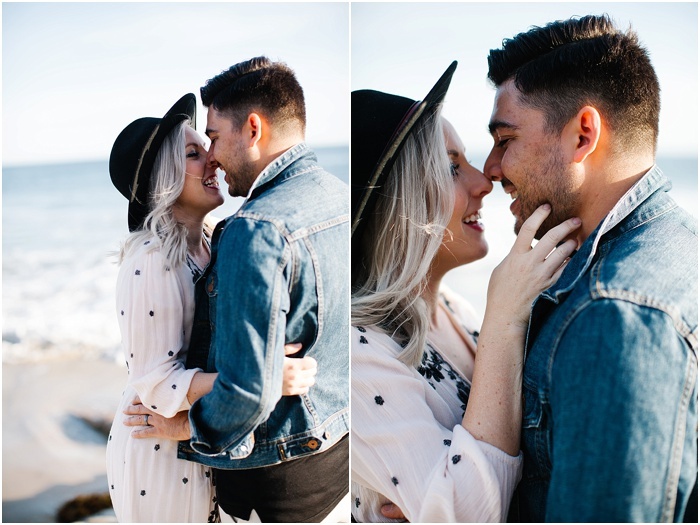 I'm forever thankful he decided to come along for the trip & because we stopped at IN-n-OUT Burger on our way back may have been why he tagged along. 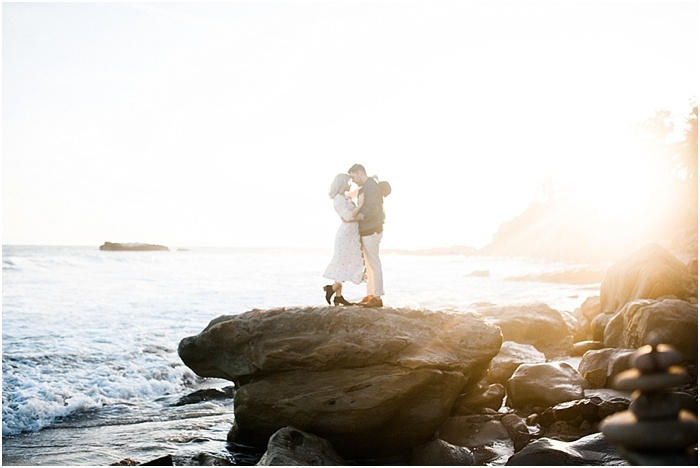 The session was in Laguna Beach & I about died because it couldn't have been a more perfect day (I kept thinking in my mind - I wish Ohio had this backdrop all year round). 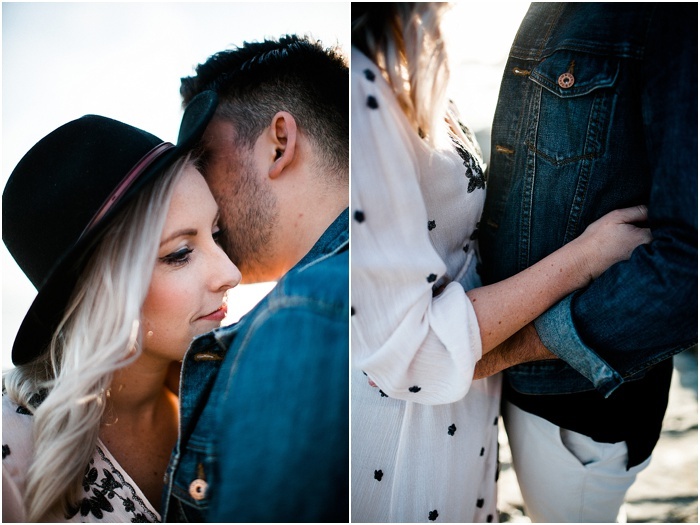 Our Models Lauren + Daniel Scotti were amazing to photograph their love between each other. During the session Andrew focused on my camera settings + lighting. This was the first mentor session where the photographer didn't bring their camera. It truly meant everything that he focused on my photography & trusted me to capture the moments to give to the clients. He did have his film camera for me to take some photos & I now am craving to get a film camera! We then sat outside at a Starbucks right next to the ocean :) to go over the photos and editing techniques. I'm truly grateful for the time Andrew spent expanding my knowledge in photography.